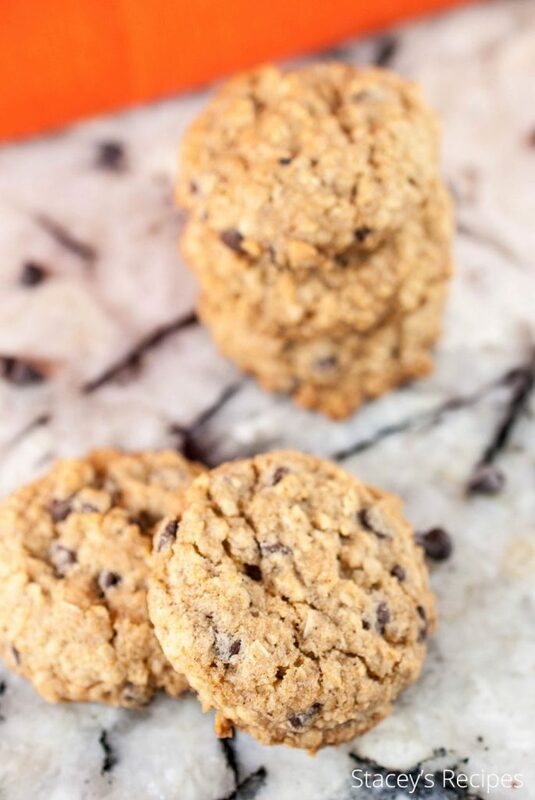 They really are the perfect oatmeal chocolate chip cookie. 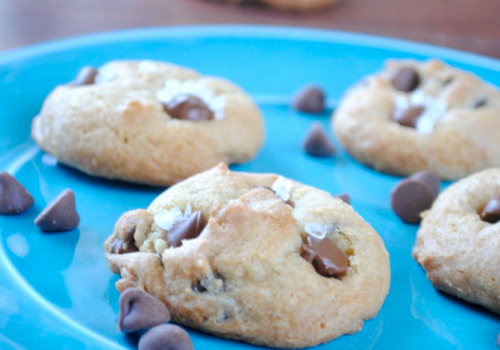 They have just the right amount of chocolate chips that compliment the subtle hint of cinnamon. AND the edges are slightly crispy while the rest of the cookie is chewy. These remind me of cookies my nana use to make when I was younger. Now these cookies are sans raisins because there is nothing worse than thinking there are chocolate chip cookies on the counter and taking one bite and realizing you were wrong. Those were raisins not chocolate chips. 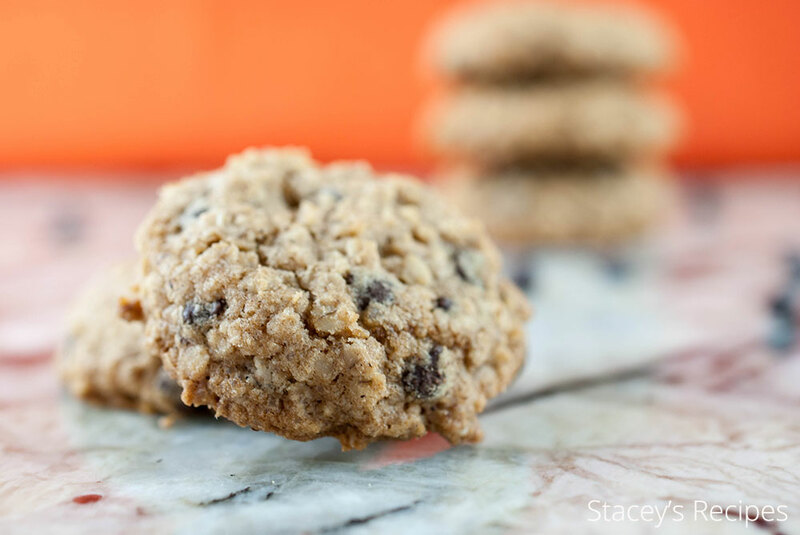 If raisins in your cookies are your cup of tea then no judgement here you can add some to the dough! 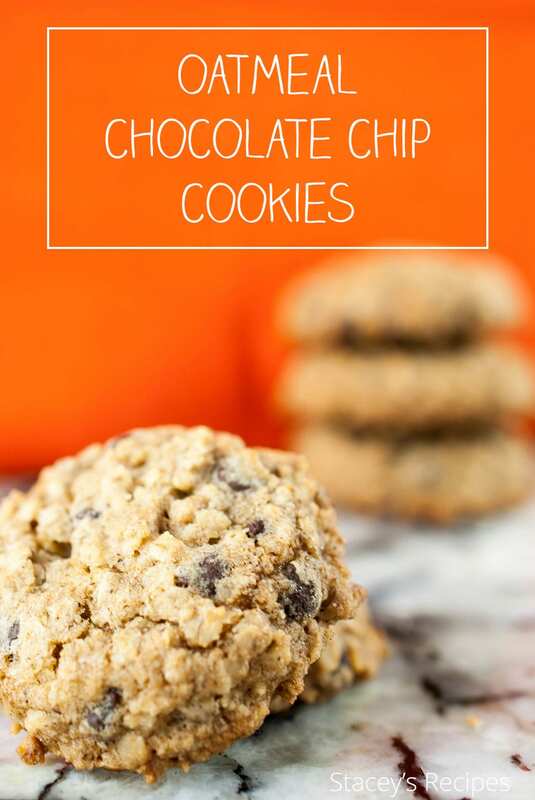 I would probably reduce the chocolate chips and add in 1/4-1/2 cup of raisins. 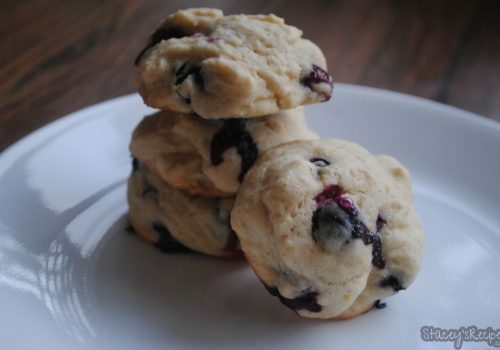 This recipes makes 48 mini cookies. I normally bake about 12 of them and through the rest of the pre scooped dough into the freezer. 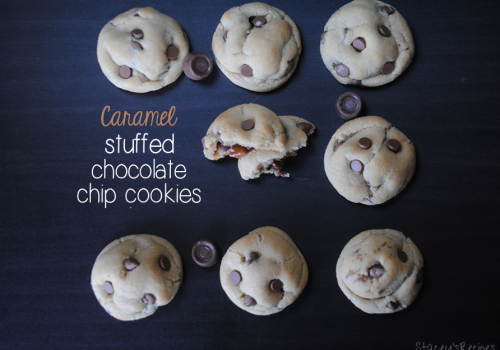 It makes those days of just neeeding a cookie that much easier. Plus when you want just one four cookies you won’t have like 30 more cookies staring at your from your counter top and calling your name. The best part about these cookies? I bet you already have all the ingredients in your cupboards! 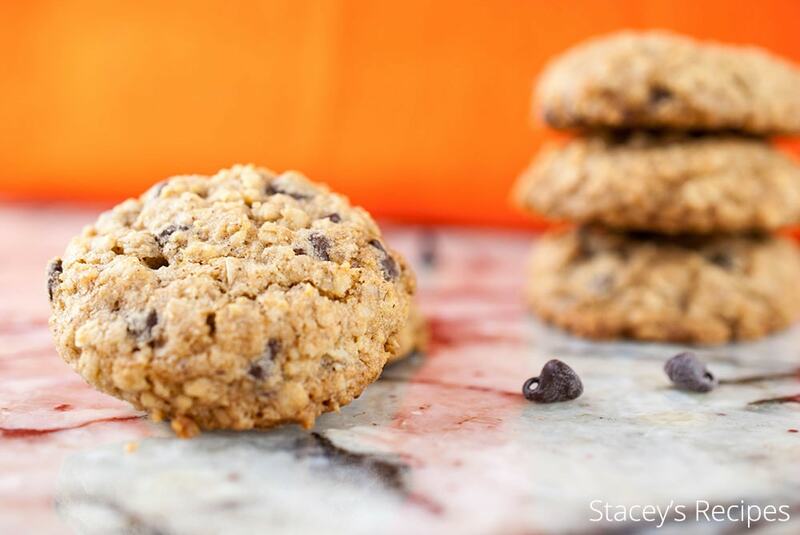 In a small bowl toss together your flour, rolled oats, cinnamon, baking soda and salt - set aside. In a medium bowl beat together your butter and sugars until no lumps remain. Beat in the egg and vanilla until well incorporated. Mix in your dry ingredients until no flour remains. Stir in your mini chocolate chips. 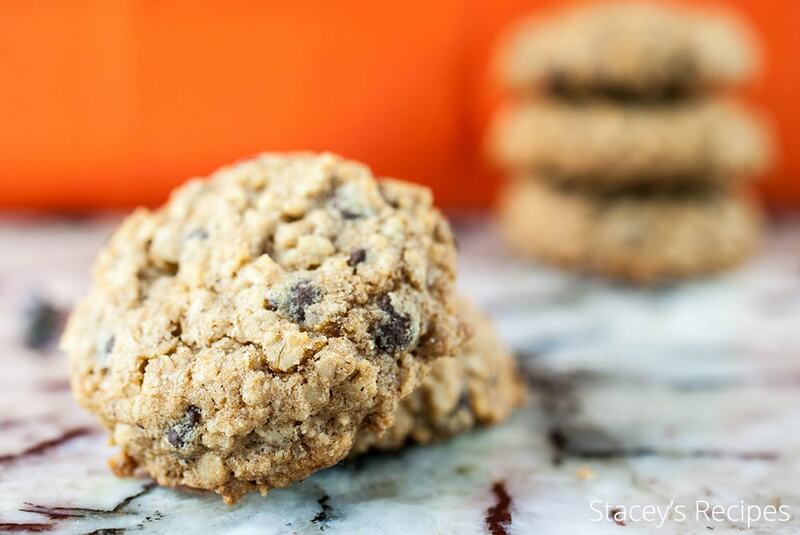 Scoop your cookies into 1 tablespoon balls. Chill in the refrigerator for at least 30 mins. Bake for 11-13 mins or until the edges are slightly golden.